The "DMV Power Players" section is the hub of all the biggest Power Players in the DMV. 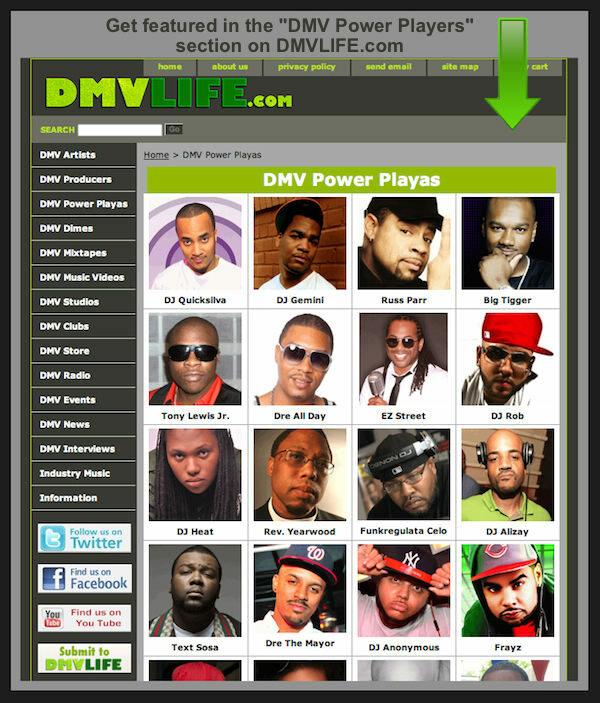 Artists, Radio people, Record label executives all use the "DMV Power Players" section to search for talent in the DMV. If you would like to be featured: Send a few good pics, links to your music online, links to your videos online, links to any mixtapes online, a short bio, and links to your Website, Facebook, Twitter, Instagram, Snapchat, etc.